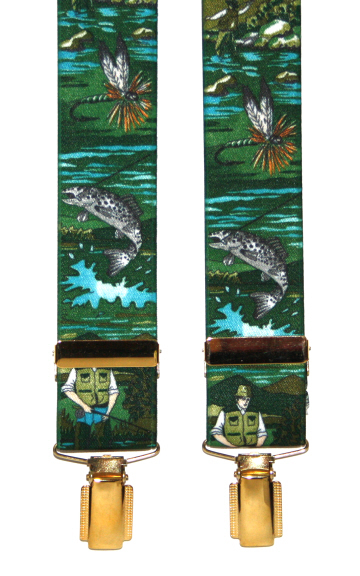 Men's novelty trouser braces showing various fishing scenes on a dark green background. Bright green braces with a fisherman's fishing flies design. Jumping fish and flies on plain background. Available in two colours.